James Longthorne Stewart and family are originally from Lancashire, England. James hails from a toolmaking background, Elaine from technical sales and marketing and have operated their own precision engineering companies both in Australia (from where the family returned in 1998 after having spent 10 years there) and England for the past 30 years. James is no stranger to making gun parts having done so in Australia, but after a conversation with a friend which planted a seed in 2006, James, a highly skilled Engineer, started designing his own guns with the aim of producing an innovative English shotgun of uncompromising quality. In his small and somewhat understated workshop to the rear of the family home hidden away in the small Lancastrian village of Hesketh bank, housed a cramped several million pounds worth of high tech equipment, hardly the sort of set up you would expect to find at such a location. His plans gathered momentum as the world recession hit allowing Longthorne to concentrate their efforts to launch the first model in 2010 at that years CLA Games Fair at Ragley Hall. Daughter Chloe has a natural artistic talent and joined the company part time in 2008 whilst still at University and concentrated on developing the engraving designs, initially with some mentoring for a few months from one of the UK’s top Engravers (you know who you are) who shall remain anonymous by request, she quickly flourished and is now an integral part of the company. She is responsible for all the designs, which can include anything from a totally bespoke design to personalisation of an existing style. The company launched their Deluxe model in 2011, which incorporates a deep acanthus style scroll engraving. Also In 2011 Longthorne were commissioned to make 4 guns celebrating the heritage of Belvoir Castle in Leicestershire for The Duchess of Rutland. 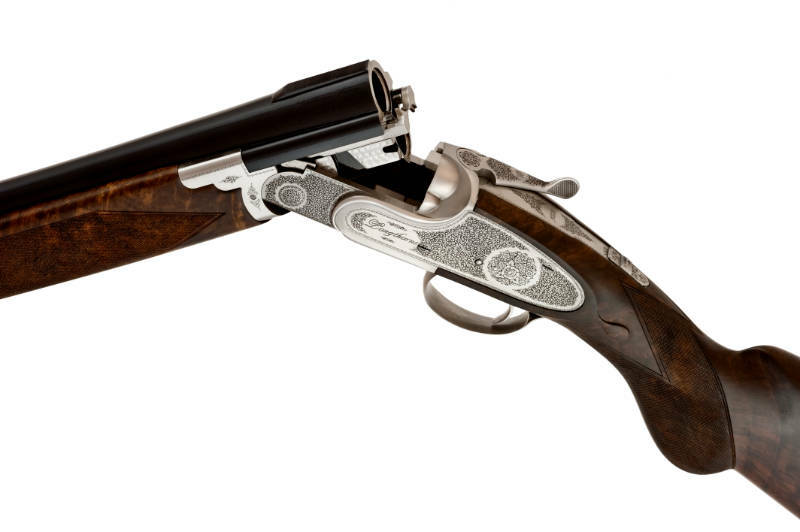 These guns Known as ‘The Rutland Range’ and now form part of their premium range, along with any bespoke guns. An exciting commission indeed which involved taking inspiration from the castle and what it represented. The Rutland guns incorporate the Manners family crest, ducal coronet and the Peacock which symbolises Belvoir Castle combined with florets and scroll work found within Belvoir. Longthorne were subsequently mentioned in the duchess book ‘Shooting, A Season of Discovery'(2012). Later that year Elaine accompanied The Duchess on her book launch tour of New York and Dallas. It was in 2012 that Longthorne resigned themselves to the fact that their existing premises was restricting growth and limiting their profile and started looking for another factory. It took quite some time but they eventually found one in Brackley England which fell through after several months, the search began again and their current factory was discovered in the middle of Northampton, England, and in October 2015 the colossal relocation commenced. Any move was going to be a huge one so it had to be for all the right reasons namely location and availablity of skilled staff. In 2015 the Company was granted a UK patent relating to their innovative barrel technology and subsequently the United States Patent & Trade Mark Office granted a corresponding US patent in 2016 (thank you European Patent Attorney, Client and Friend, Peter F). The Company currently have several more patents pending in Europe and Asia. It is here at their new state of the art factory in Northampton that James Longthorne Stewart aided by his wife Elaine and Daughter Chloe and their rapidly growing team now manufacture the Longthorne shotguns. 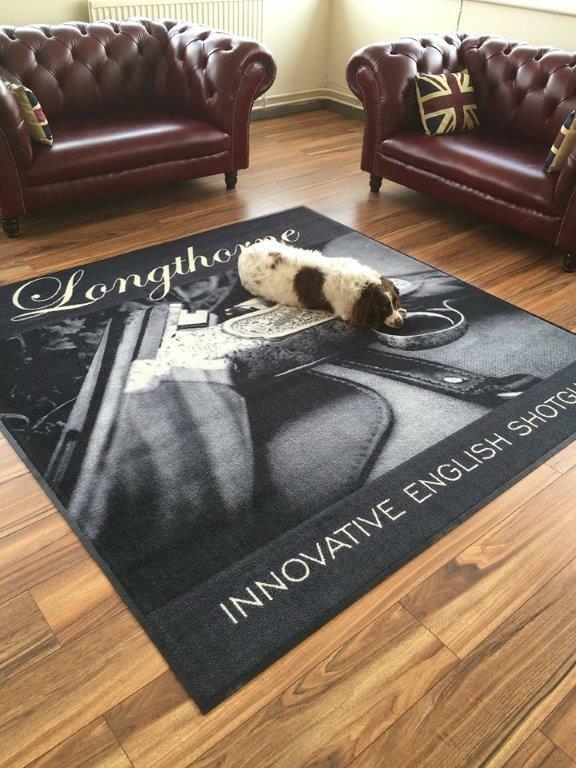 Longthorne has rapidly become a brand synonymous with quality and luxury, acknowledged by way of the number of high profile clients the company currently has on its books, from Heads of State to Leaders in Industry….the story continues.